Instagram allows users to share images and videos and since it was launched in 2010, the app has become incredibly popular, particularly among young people. This online social platform has millions of users across the world and it brings together aspiring photographers, artists and business who wish to promote their brand. Instagram lets you share photos that you have just captured using the app, or upload images from your gallery or camera roll. You can add filters, tag the image and share it with other Instagram users. It is possible to follow people to see what they post and they can follow you back. Many teenagers use the app to follow celebrities and to share their own photos. It is common to see selfies in Instagram and many users aim to have a large number of followers, which is why they are very active in Instagram and regularly share new images and videos, tagging their location. Although it is possible to set up an Instagram account as private so that only certain people can see the posts, most youngsters leave their accounts as public. This means that their photos and videos are available for anyone to see and they can be also contacted by other users. As such, it is understandable that parents want to monitor their kids’ Instagram account to keep them secure. Although a good measure would be to make sure that your kids set their Instagram profile as private, it is likely that this wouldn’t be enough. One of the appeals of Instagram is getting a lot of followers that admire the photos that you post so kids would probably not be very happy with the idea of keeping their account visible only for family and friends. Even if they set their account as private for a while, they may not allow you access. While the images shared may be innocent enough, there is always a risk that they upload something inappropriate by mistake or in a thoughtless moment. 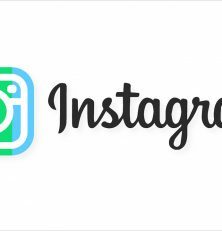 When you access Instagram, you see the username, profile picture, amount of posts (images or videos) shared, amount of followers and people who are being followed. When you follow another Instagram users, their posts will appear in your feed. It is possible to like and leave comments on the pictures. There is also an option to send private messages within the app. Apart from the risk of strangers contacting your kids or seeing their photos and finding out more about them, Instagram is also used by cyberbullies who may try to harm other’s self-esteem. For many children popularity is important and they want to make sure that their posts are liked and that their friends leave flattering comments. Tagging is also important and in some cases, not tagging someone who is on Instagram and that appears on the photo, is considered as a snub. Not following someone back or cutting them out of the photo can also be a subtle insult sent between school friends. Children can be very vulnerable and these kind of things can affect them. Accessing your kid’s Instagram account can give you insight into your child’s world. You will see the photos they post, the people they interact with and the places they go to when they are not at home. This will let you know when it is time to intervene to prevent any issues. Online predators, cyberbullies and other threats could be lurking on Instagram, which is why you need to keep an eye on this app. In order to monitor what your children post on Instagram, you can opt for spy technology and one of the most practical options is mSpy. With this spy app, you will be able to get a detailed overview of what your children do online. It offers an array of features that will allow you to monitor your kids to make sure that they are safe at all times. When you install mSpy on your child’s phone, the Instagram tracking function lets you check the images that they like, read their comments and see what users are tagged on the photos. You can also see the geo-location and other important information of the photos shared. The Instagram Tracker feature that mSpy offers, will allow you to monitor all the necessary information from the control panel of your account. You just need to install the app on your kid’s phone to start monitoring the activity on Instagram and other apps. You can get access to all the relevant data from this multimedia sharing platform, which will give you peace of mind. If your children are sharing inappropriate photos, giving away too much information on their posts, or being harassed by bullies, you will know about it. If my child sets up a dummy account so that I can’t follow him/her, do I have any spy options? Can I see the direct messages that now “disappear”. Did you find a way to do it without getting there phone? CAN YOU READ THEIR PRIVATE MEASSAGES EVEN IF THEY DELETE THEM IMMEDIANTLY? Can the child tell when it is downloaded on their device or can they see it?